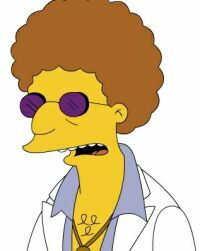 The Simpsons' Disco Stu and Phil "Wall of Hair" Spector. 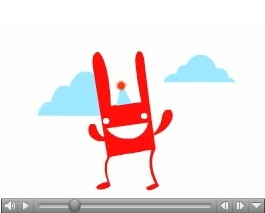 Video produced by Kangaroo Alliance, music from Of Montreal. Catchy as hell. 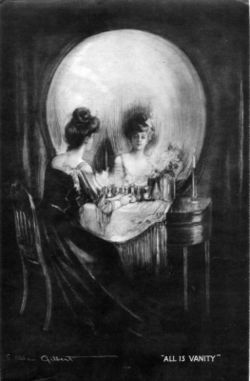 * An anamorphism is a distorted projection or perspective; especially an image distorted in such a way that it becomes visible only when viewed in a special manner, such as from a certain angle or when specifically-shaped mirros (usually conical or cylindrical) is placed on in a specific spot on the drawing. Trompe L'Oeil is a similar art term, French for "trick the eye". Trompe l'oeil murals are paintings, usually on a wall, (or ceiling, floor etc. ), that when viewed from the right position, should deceive the viewer into thinking it is real. People who have died in front of an audience. The Cockpit Voice Recorder Database, which has Cockpit Voice Recorder (CVR a/k/a "Black Box") transcripts of aviation accidents and incidents. 456 BC: Aeschylus, Greek dramatist, according to legend, died when a vulture, mistaking his bald head for a stone, dropped a tortoise on it. 1911: Jack Daniel, founder of the famous Tennessee whiskey distillery, died of blood poisoning due to a toe injury he received after kicking his safe in anger when he could not remember its combination code. 1933: Michael Malloy, a homeless man, was murdered by gassing after surviving multiple poisonings, intentional exposure, and being struck by a car. Malloy was murdered by five men in a plot to collect on life insurance policies they'd purchased. 2003: Brian Wells, pizza deliveryman, was killed by a time bomb which was fastened around his neck. He was apprehended by the police after robbing a bank, and claimed he had been forced to do it by three people who had put the bomb around his neck and would kill him if he refused. The bomb then exploded killing him. 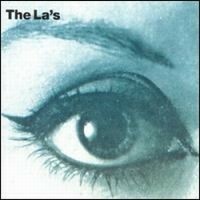 Lala.com is a music-trading community with a little Netflix and iTunes thrown in for good measure. The concept is you ship CDs you don't want anymore to other members, and request CDs you do want. Unlike Netflix, there is no monthly charge, you just pay $1 for each CD, plus 49 cents for shipping. You don't pay anything for shipping your CDs to other members, Lala will provide you with prestamped shippers. The upshot is you get to clear off your CD shelves of stuff you don't listen to anymore and get the music you do want for $1.49 per CD. I haven't yet tried iTunes but I do loves my Netflix. 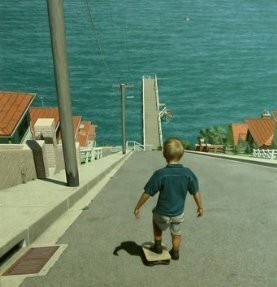 I think I might give this a try. I mean there must be someone out there braindead adventurous enough to want my Marky Mark and the Funky Bunch CD. Right now supposedly it's an invite-only thing from another member, but I went to their home page and put in my email address and within a few days I got an invite, so maybe you will,too. Has anyone else tried this yet? Twins Restaurant is owned by identical twin sisters Lisa Ganz, twin sister Debbie Ganz, and actor Tom Berenger. "We are the only restaurant of its kind, staffed entirely by 37 sets of identical twins who work the same shift, in the same station, in the same uniform. " The knockoff*project features album cover spoofs, goofs, tributes, send ups, near misses and coincedences. 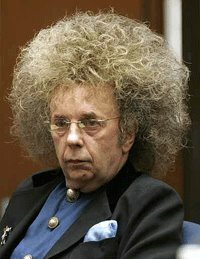 Shown above are Simon and Garfunkel's Bookends, trip-hop duo Kruder & Dorfmeister's EP G-Stoned and, you know... I don't know who that third group is. Do you? 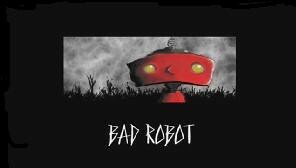 Another nice one is not so much an album cover homage as it is a bad joke. 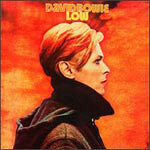 In 1977, David Bowie released his album Low. 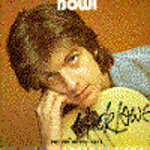 In a case of turnabout is fair play, Brit pub-rocker Nick Lowe released his EP Bowi. Knockoff*project has hundreds more examples, plus an entire set of just Beatles knockoffs. Good stuff, though it's too bad the pics couldn't be just a wee bit bigger. I helped pay for that F-22 Raptor, can I at least take it for a test drive? 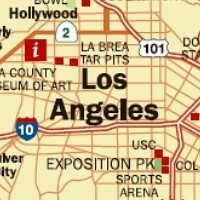 Do you really know where your federal tax bux go? Probably not. 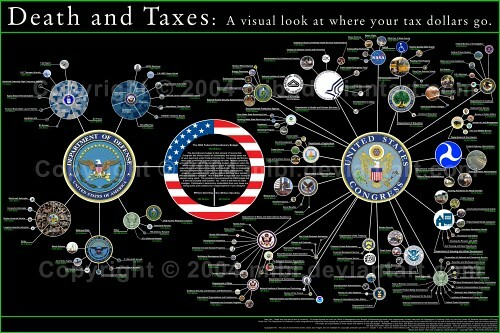 This is a great image of how the federal budget breaks down and where it really goes. Did you know that we spend more on military spending ($399 billion) than all other things combined including all all operations of Dep't of Energy, Environmental Protection Agency, NASA, Dep't. of Agriculture, Public Housing, national parks, elementary education, secondary education, higher education, FBI, federal prisons, Global AIDS Initiative, National Science Foundation and hundreds more. ANOTHER NOTE: Image was made using the 2004 Federal budget. 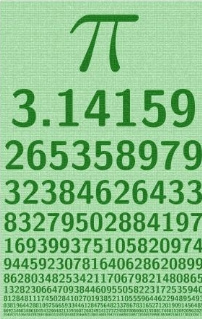 If you are a serious pi-head, you might want to pick up this nifty poster that has the first 350,390 digits of pi. Click the "closer examination" link to see it better. 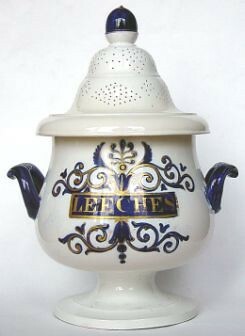 You may have heard that, after a couple hundred years, leeches are now making a comeback in the medical field. It seems the anti-coagulative properties in the saliva of the leech make reattached body parts heal faster and promote blood flow to the affected part. The Hirudo leech has three jaws with 100 teeth on each jaw - making 300 teeth in all. The bite of a leech is painless due to its own anaesthetic. I want something tragic to happen to me so that I could have a legitimate reason to be angry at this world. Trousers are tight when stomachs are paunchy: witness the horror of McDonalds! Kelly Clarkson ate my best homemade neurotoxin, burped, sang briefly, then disintegrated. Groupthink is a collaborative game in which everyone works as a team to create the most creative/amusing/thought-provoking/stupid/whatever sentence, one word at a time. Anyone can register and start right away. Well actually, first you have to vote on some sentences already out there but eventually you can contribute the next word to whatever sentence is currently under construction. 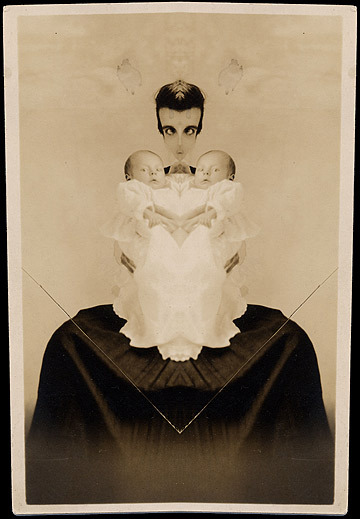 In a similar vein, Language Is A Virus has a number of writing toys, games and exercises like Never-Ending Story, Haiku-a-Tron and Exquisite Corpse. For some TV producers, it's the most important two seconds of the show. The story behind TV vanity cards: those little blips after the credits featuring the logo of the creative force behind the show. One of the most well-known is for UBU Productions, and the audio, 'Sit, Ubu, sit! Good dog.' 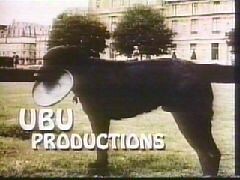 A little bit more on the story of Ubu here. Viewers of shows by Chuck Lorre, creator of Dharma & Greg and Two and a Half Men, have been seeing his verbose, text-filled vanity cards for years. Sometimes they're short stories, sometimes his personal views on a variety of subjects, sometimes just dumb stuff. They're only on for about one second, so you either have to record and freeze-frame them, or go to his website and read them at your leisure. In the years I spent at WYCE spinning my share of worldbeat music, I have heard a bit of the style of singing called Tuvan throat singing, named for Tuva, the small Russian republic on the border of Mongolia where it supposedly originated. The overtones are clearly heard when the partials of a sound wave produced by the human voice are selectively amplified by changing the shape of the resonant cavities of the mouth, larynx and pharynx. The result of this resonant tuning allows the singer to create more than one pitch at the same time, with the capability of creating six pitches at once. Generally the sounds created by throat singing are low droning hums and high pitched flutelike melodies. The Friends of Tuva has scads of links, true, but describing throat singing and actually hearing it are two different experiences. If you have never heard of this style of singing before, check it out in some of the following links. I can pretty much bet it won't sound how you think it would sound. A couple of American guys doing something called Sayir Grace. There is a didgeridoo accompaniment and it really nicely complements this particular style of throat singing called Kargyraa. Tuvan throat singers cover Joy Division's "Love Will Tear Us Apart"
Take the Programming Language Inventor or Serial Killer? quiz and see if you can pick out the sociopathic miscreants that frighten us all. Then see if you recognize the serial killers, too.